On one side of the world, China’s economy continues to slow as it transitions from an export-led to a consumer-driven economy, despite the launch of stimulus package last year to avoid a hard landing. On the other side, the newly-inaugurated US President Donald Trump is promising to ‘make America great again’ by curbing foreign imports, curtailing immigration and cutting aid to its allies. 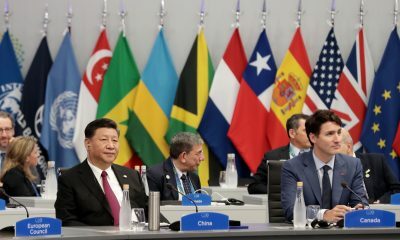 What these two developments mean for Africa exactly is still uncertain, but if both Chinese and American rhetoric is to be believed, the implications could be far-reaching. 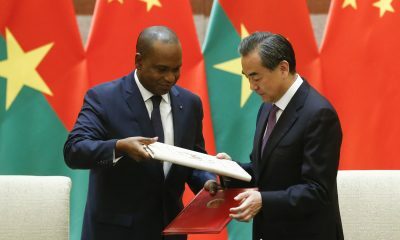 Early in January this year, China’s Foreign Minister, Wang Yi, completed his annual African tour. This year, he visited five sub-Saharan countries – Republic of Congo, Madagascar, Nigeria, Tanzania and Zambia. These countries have been some of the largest recipients of Chinese foreign investment – particularly in the now-beleaguered extractive sectors, despite a slight rebound in commodity prices. The purpose of the Foreign Minister’s visit was to reaffirm China’s commitment to African development and to implement the pledges made at the Forum on China-Africa Cooperation in December 2015. This year’s visit, however, was markedly different for two additional reasons. First, China has signed new deals on rehabilitating and building infrastructure to stimulate beneficiation. Second, Foreign Minister Wang Yi’s visit to Africa took place against the backdrop of rising isolationist rhetoric from the United States. 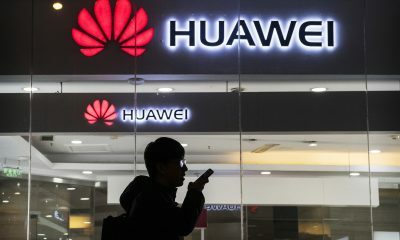 Even before the advent of the Trump administration, the US had been losing influence in Africa as China ramped up investments in countries deemed too unattractive or unstable for American investors. South Sudan and Angola epitomise this trend. Although Trump’s Africa policy remains shrouded in mystery, he has by no means kept mum on the broader designs of his ‘America First’ foreign policy. He has publicly questioned US commitment to the very alliances that made America great in the first place. These include its financial commitments to its European allies through NATO, and its allies in the Asia Pacific such as Japan and Korea. His broader views on Africa have been far less concrete. 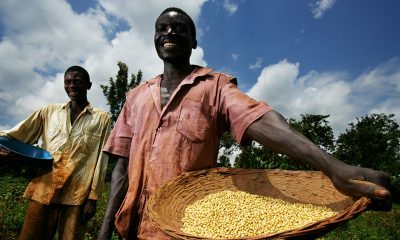 What we do know is that in January, Trump’s transition team posed a series of questions to the US State Department indicating a general scepticism towards the value of foreign assistance, particularly to African countries. Questions included ‘With so much corruption in Africa, how much of our funding is stolen? Why should we spend these funds on Africa when we are suffering here in the US?’ On terrorism, the team asked why the US is still fighting Al-Shabaab – the terrorist group behind the Westgate Shopping Mall attacks in Kenya in 2013. Although these questions are preliminary and may not necessarily indicate the future direction of US policy towards Africa under Trump – given that support for Africa has been bipartisan – it does provide some initial insight. In contrast, in the first few weeks of 2017 China has actively worked towards reassuring African countries. 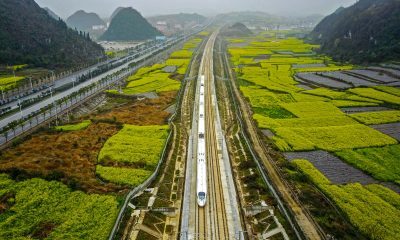 During this year’s visit, China’s Foreign minister signed various road, railway and industrial development deals reaffirming China’s commitment to beneficiation of mineral and agricultural resources and the construction and rehabilitation of transport infrastructure in African countries where economic growth continues to be tied to commodities, particularly in East and West Africa. Nigerian, Tanzania and Zambia are experiencing rising fiscal deficits and ballooning debts as a result of the drop in commodity prices. Although China is often criticised for overstating the value of its commitments to Africa, it is fast becoming one of Africa’s preferred partners – as evidenced by its observer status at the AU. China’s attraction for African policymakers lies in its ’no-strings attached‘ approach, with the sole exception of the acceptance of its ‘one China’ policy. If the US adopts a much more trade protectionist approach, African states should follow the example of the EU and China, and look to markets that continue to encourage trade openness. Ironically, President Trump’s transition team also asked of the State Department: ‘How does US business compete with other nations in Africa? Are we losing out to the Chinese?’ President Trump is likely to realise the answer soon, as the US risks losing a significant chunk of its hard-fought global influence, including in Africa. Should the current trajectory continue, China will use this opportunity to win – ‘bigly’. 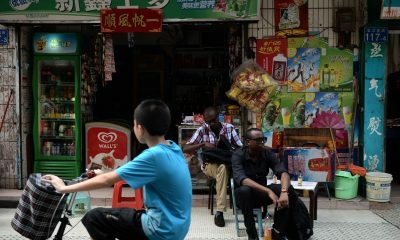 But equally, Africa should push for more market access for its goods and services in China. This article was first published in the Pretoria News print edition, 22 February 2017.